A gang of feral cats attacked a woman and her dog in France. One more reason to love dogs: A gang of feral cats in France attacked a woman and her poodle, forcing both victims to seek medical attention for their injuries. The cat-attack occurred Sunday (July 21) near the city of Belfort in eastern France. The 31-year-old woman was walking her dog near a wooded area when six felines set upon her, knocking her to the ground,The Independent reports. “My daughter thought it was a living nightmare. She’s still traumatized and is bordering on depression,” Galliot said. Veterinarians and local residents are divided over what may have provoked the feline fury. According to some observers, a recent heat wave in the area may have played a part in the unusual mauling. Veterinary specialist Valerie Dramard believes the cats were protecting their territory from the poodle, and the woman simply got in the way. But cats are known as aggressive hunters, too: Recent research has revealed that cats kill between 1.4 billion and 3.7 billion birds, and between 6.9 billion and 20.7 billion small mammals, each year in the United States. Some wildlife conservationists have even proposed a ban on cats, or at least prohibitions against free-roaming cats. “We have long accepted the fact that you can’t let your dog run free, and yet cat owners seem to take offense at the idea that they would be asked to keep their cats indoors,” Stanley Temple, University of Wisconsin-Madison professor emeritus in conservation, told LiveScience. About 8,000 feral cats are born every day in France, according to The Independent. For cat lovers, rest assured: Researchers at the University of Oxford have noted that, while numbers are trickier to come by, domestic dogs are also killers of wildlife and disease-spreaders when they’re allowed to roam free outdoors. The scientists’ review of past studies on the effect of roaming domestic dogs was detailed this year in the journal Biological Conservation. Using NASA’s latest high-resolution satellite imagery of Earth, datavisualization expert John Nelson has created a pair of captivating animations that track seasonal transformations on the blue marble we call home. Having spent much of my life living near the center of that mitten-shaped peninsulain North America, I have had a consistent seasonal metronome through which I track the years of my life. When I stitch together what can be an impersonal snapshot of an entire planet, all of the sudden I see a thing with a heartbeat. I can track one location throughout a year to compare the annual push and pull of snow and plant life there, while in my periphery I see the oscillating wave of life advancing and retreating, advancing and retreating. And I’m reassured by it. A giant mushroom measuring 36 inches across and weighing 33 pounds has been discovered by locals in China’s Yunnan province. 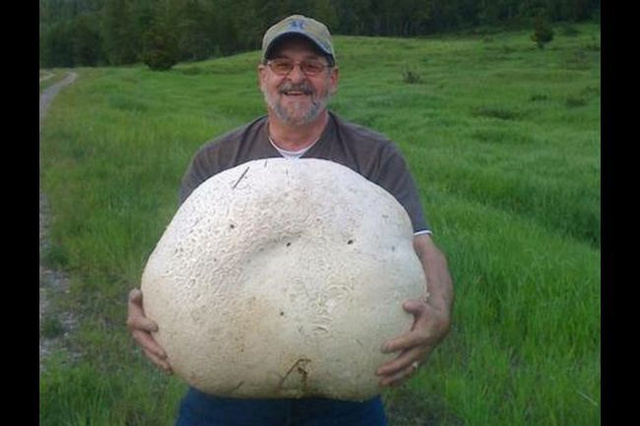 But as grotesquely huge as this fungus appears to be, it’s far from being a world record. It’s still not known what species this mushroom belongs to, or if it’s even edible. It’s also unclear as to whether it can even be considered a single mushroom. Looking at the AP video, it appears to have a single base from which over 100 caps have sprouted out. Now, this mushroom may in fact be a world record — but only for its species. 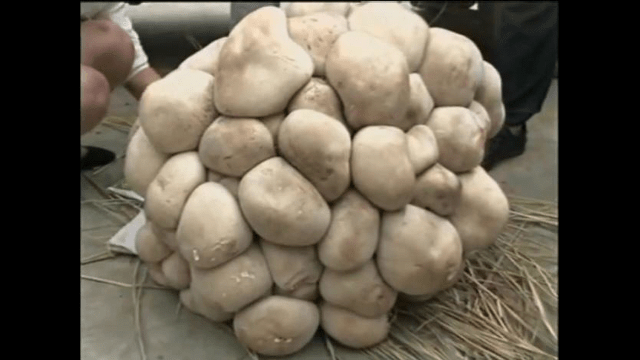 It might even go down as the world’s largest edible mushroom, but that remains to be seen. Overall, however, larger fungi have been found. And according to LiveScience, a giant honey mushroom (Armillaria ostoyae) was discovered in 1998 growing underground in Oregon. It’s estimated to be about 2,384 acres (965 hectares) in size — and at least 2,400 years old. 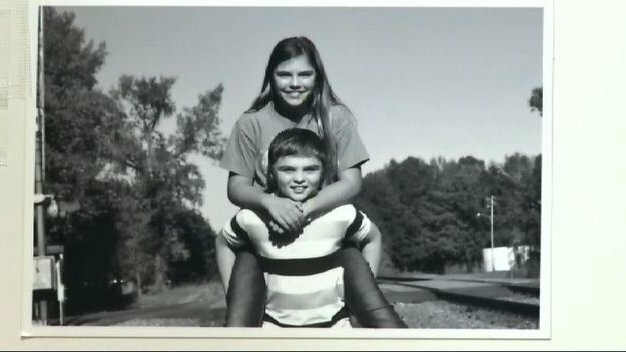 A 12-year-old girl in Arkansas has been hospitalized with a case of parasitic meningitis caused by a rare brain-eating amoeba. The Arkansas Department of Health and the U.S. Centers for Disease Control and Prevention (CDC) confirmed that Kali Hardig contracted the disease after swimming in the Willow Springs Water Park in Little Rock, Ark. In the United States, most infections occur in the South during the summer months. PAM infections are rare: Between 2001 and 2010, just 32 infections were reported in the United States, according to the CDC. The microbe is not found in oceans or other saltwater bodies. Early symptoms of an infection with Naegleria fowleri usually show up within seven days of exposure and include neck stiffness, headache, fever, nausea and vomiting. Later, confusion, loss of balance, seizures and hallucinations can occur. The disease is usually fatal, even when treatment begins early. Doctors put Hardig in a medically induced coma in order to stabilize her. Though the majority of cases are caused by swimming in warm bodies of water, at least two cases have been linked to tap water: In 2011, two people living in different areas of Louisiana contracted PAM after using tap water in neti pots to irrigate their nasal passages and sinuses. Officials in Arkansas have closed the Willow Springs Water Park during their investigation into the case. A 2010Naegleria fowleri infection was also linked to the water park. To minimize the risk of an infection with Naegleria fowleri, the CDC recommends that swimmers avoid bodies of freshwater when the water is warm, hold the nose shut or use nose clips, and avoid stirring up bottom sediments. Additionally, people who use neti pots should only use water that is distilled, sterilized, filtered or boiled (and then left to cool), and should clean and dry their pots after each use. A person cannot become infected from drinking tap water (Naegleria fowleri infections can only be contracted through the nose), and the infection cannot be passed from one person to another. A lead coffin found inside a stone coffin in the ruins of Grey Friars in Leicester is believed to contain a high-status medieval burial. King Richard III’s rediscovered resting place is turning out more mysteries this summer. Excavators finally lifted the heavy lid of a medieval stone coffin found at the site in Leicester, England, only to reveal another lead coffin inside. The “coffin-within-a-coffin” is thought to have been sealed in the 13th or 14th century — more than 100 years before Richard, an infamous English king slain in battle, received his hasty burial in 1485. “The inner coffin is likely to contain a high-status burial — though we don’t currently know who it contains,” reads a statement from the university. The outer stone coffin measures about 7 feet (2.1 meters) long and 2 feet (0.6 meters) wide at the head and 1 foot (0.3 meters) at the feet. Eight people were needed to remove its lid. A team lifts the heavy lid of the stone coffin in Leicester. The lead funerary box inside has been carried off to the university, where researchers will conduct tests to determine the safest way to open it without damaging the remains. But so far, they’ve been able to get a look at the feet through a hole in the bottom of the inner coffin. The archaeologists suspect the grave may belong to one of Grey Friar’s founders: Peter Swynsfeld, who died in 1272, or William of Nottingham, who died in 1330. Records also suggest “a knight called Mutton, sometime mayor of Leicester,” was buried at the site. This name may refer to the 14th-century knight Sir William de Moton of Peckleton, who died between 1356 and 1362, the researchers say. Richard III, the last king of the House of York, reigned from 1483 until 1485, when he was killed in battle during the War of Roses. He received a quick burial at the Grey Friars monastery in Leicester as his defeater, Henry Tudor, ascended to the throne. Richard’s rise to power was controversial. His two young nephews, who had a claim to the throne, vanished from the Tower of London shortly before Richard became king, leading to rumors that he had them killed. After his death, Richard was demonized by the Tudor dynasty and his reputation as a power-hungry, muderous hunchback was cemented in William Shakespeare’s play “Richard III.” Meanwhile, Grey Friars was destroyed in the 16th century during the Protestant Reformation, and its ruins became somewhat lost to history. Setting out to find the lost king, archaeologists started digging beneath a parking lot in Leicester last summer where they believed they would find Grey Friars. They soon uncovered the remains of the monasteryand a battle-ravaged skeleton that was later confirmed through a DNA analysis to be that of Richard III. In an effort to learn more about the church where Richard was buried — as well as the other people buried alongside him — a fresh dig at the site began in early July. A King Richard III visitor center is being built at the site and arrangements are being made to reinter the king’s bones. The Cathedral of Leicester recently unveiled its $1.5 million (£1 million) plan to rebury the monarch in a new raised tomb inside the church, with a week of celebrations leading up to the reinterment. Follow Megan Gannon on Twitter and Google+. Follow us @livescience,Facebook & Google+. Original article on LiveScience.com. Enlargement showing Vesalius’s note to the block cutter regarding improvements to the illustration. When the Renaissance physician and expert dissector Andreas Vesalius first published “De humani corporis fabrica” in 1543, he provided the most detailed look inside the human body of his time. A previously unknown copy of the impressive anatomy textbook resurfaced a few years ago, and it apparently contains more than a thousand handwritten notes and corrections by the author himself. The annotations reveal that Vesalius was meticulously planning a third edition of the book that never made it to print, researchers say. “This book is his workbench as much as the dissecting table,” Vivian Nutton, a University College London professor emeritus, writes in a recently published analysis of the text in the journal Medical History. Some edits show that Vesalius wanted to correct mistakes of grammar and syntax and to make his Latin more elegant. Other markings show that he wanted to draw attention to misshapen or illegible letters for his block-cutter. Vesalius also intended to add new information to the text as he learned more about the human body, including what may be one of the oldest references to the practice of female genital mutilation. The copy of the book, on loan from an unnamed German collector, is currently available for study at the University of Toronto’s Thomas Fisher Rare Book Library. The book will be featured as part of an exhibition next year in Toronto to mark the 500th anniversary of Vesalius’ birth. Credit: Leipzig, 1872. Chromolithograph. National Library of Medicine. A new science of human anatomy arose some 500 years ago, with imagery that was both informative and whimsical, surreal, beautiful and grotesque, according to the National Library of Medicine, whose exhibition “Dream Anatomy” reveals the amazing anatomical imagery.Here, a cross-section from the atlas of anatomist Wilhelm Braune and artist C. Schmiedel. Credit: Paris, 1773. Colored mezzotint. National Library of Medicine. This colored mezzotint by author and artist Jacques Fabien Gautier D’Agoty reveals “the grotesquerie of subject matter, stiffness of the figure, and eccentric arrangement of body parts make for a characteristic dreaminess that eerily anticipates 20th-century modernism,” the National Library of Medicine states. The association between death and anatomy continued in art anatomy, even as it waned in medical texts, as shown here. Bernardino Genga, a Roman anatomist, specialized in studies of classical sculptures, while Charles Errard, court painter to Louis XIV, helped found the Académie Royale de Peinture and was first Director of the Académie de France in Rome. These manikins, between 6 to 7 inches in length, were made from solid pieces of ivory some time between 1500 and 1700. The arms were carved separately and are moveable. The thoracic and abdominal walls can be removed, revealing the viscera. In some manikins the internal organs are carved in the original block and are not removable, while they are formed into separate pieces that can be removed. Credit: Gottingen, 1756. Copperplate engraving. National Library of Medicine. Credit: Rome, 1741. Copperplate engraving. National Library of Medicine. The muscles of the thigh are illustrated in this drawing reminiscent of men’s breeches. A frontispiece portrays five anatomists posed around a cadaver. The globe at the top of the illustration, turned toward America, reveals how the anatomists saw themselves: as exploring a “New World” of science. Credit: John Bell. London, 1804. Etching. National Library of Medicine. Artist John Bell decried overly idealized anatomical art, preferring the harsh realities of dissection. A classic pose of French portraiture meets anatomical art in this painting of a pregnant woman from 1773. Colorful images came into fashion in the 1800s, but the flap-like dissection of the muscles heralds back to older styles of anatomical art.